I had this error pop up all of a sudden when I try to start visual bb. Anyone else run into this issue? It's still working for me on Windows 8, but I'm using build 568. I keep hoping that jwierer will find the time to post the version that I'm using. I'm using windows 10. But what was weird is that I've been using 10 for a few months now and this error just came up yesterday. Changing the compatibility thingy to an older version of Windows might fix the problem. This specifically is the error I am getting. Have you checked your computer with Avast to make sure you don't have a virus? I did. Scanned twice. I might try a boot scan next. No viruses. Still no luck. If you tried compatibility with various things, going back to Windows Vista, and it still doesn't work, maybe I should PM you what I have and you can see if that works. At this point I'll try anything. If I can't get it to work, I'll take it as a sign to learn assembly. Edited by Mountain King, Sun Jan 3, 2016 11:29 AM. have the same error. I also tried crimson editor but get compiler errors. would really like visual bB to work in windows 10. I know I'll be forced to use Windows 10 the next time I have to buy a new PC, so I hope we can find a fix. Here's something to try. Don't use VbB to set bB's path and environment variable (uncheck them if they are checked). Double click on install_win.bat instead. Is there source for vbb available? If so I could attempt to debug this. Try Virtual World BASIC, the IDE works under Windows 10.
windows 10 did an update then I was able to run visualbb. it gives me a java script error which i'm ignoring. worked fine for a while but now it crashes again. Edited by bpolaro, Tue Jan 5, 2016 5:37 PM. Hey, I am trying to use visual batari Basic. However, I continue to get this error: invalidargument=value of '1' is not valid for 'index' after using the configuration index. I am not sure how to fix this problem, but I would love any help that could be offered to me. While I am no code monkey I can understand basic instructions and I can input code if required. Precompilation failed, aborted at 4/17/2016 7:44:40 AM. Please Help Me! B. Install RevEng bB which covers bB 1.0 kernel with its variations and the multisprite kernel to the DPC+ kernel. C. I personally recommend installing bB at root C: Use C:\Atari2600\bB Folders named with 8 simple letters or less, (this is a command line DOS program) as in the original guides to set up batari Basic when it was first released: http://bataribasic.com/install.html But again, use the latest bB program from RevEng. No complicated paths and underscores, periods, etc. Use those long detailed complicated naming for code file versions and make many version and saves between code changes many times daily because you will need to revert back to when a version compiled successfully and runs properly on the 2600 before new added code mistake broke the compile or running bin and tracking down what is now wrong may be near impossible. I break my working bB code all the time and it could be something like a space, or a comma not a period or a period and not a comma, and so on. Edited by iesposta, Sun Apr 17, 2016 6:46 AM. Um I dont understand what Install RevEng bB which covers bB 1.0 kernel with its variations and the multisprite kernel to the DPC+ kernel. means. I can do all of the other steps and comprehend them. However, I font know what a multisprite kernel is. I was also just wondering, is this step a requirement? Oh wait, did you mean just download the updated program? Yes. In the first link. It includes many fixes, and allows you to code all the various kernels from the original 1.0 kernel programs to kernels that make 64K size games, to the cutting edge DPC+ kernel programs. My FLAPPY program was in the older bB 1.0 Multisprite kernel option in 4K, and my DK Arcade 2600 team and I used the same RevEng version to make this with bB 1.1 DPC+ kernel. Links are below in my signature. 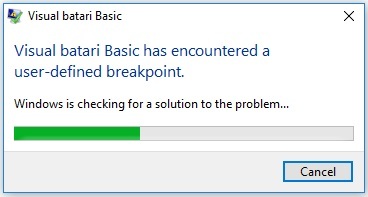 The first goal is to get the latest batari Basic installed properly. Edited by Private Eye, Sun Apr 17, 2016 7:59 AM. "InvalidArgument=Value of '2' is not valid for 'index'." I'm a Mac computer user. Only use Windows 7 for Future Pinball and Visual bB, and for utilities that are Windows based. And now I use JEdit on Mac for batari Basic coding and compiling and testing in the Stella emulator.